Over the last few months some dealerships have closed, moved, or plan on opening sometime in 2019. Having searched around, I couldn’t find any news for some companies that either closed or exchanged ownership, so here’s a post summarizing what has transpired over the last 3-4 months. 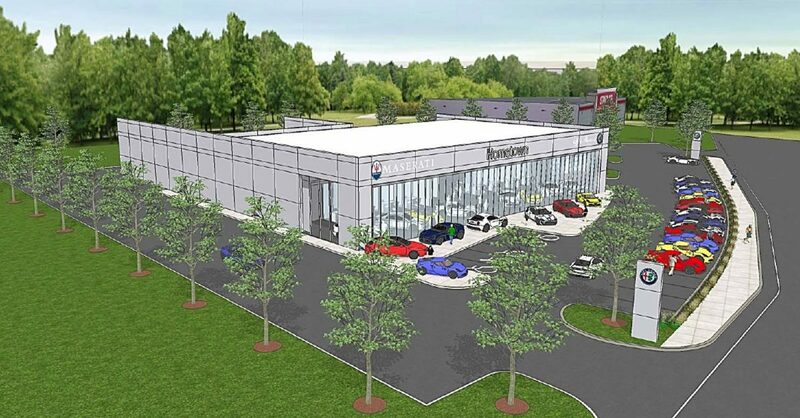 Coming soon, Boston Motorsports will be opening an Alfa Romeo, Maserati, and used exotic dealership at 1650 Soldiers Field Road right next door to Acura of Boston. This will be the fourth dealer in the Boston area to offer these two Italian brands, and is conveniently located 10-15 minutes outside of Boston. Once located right next door to Herb Chambers Honda of Boston on Commonwealth Avenue, Infiniti of Boston recently moved to 60 Mystic Ave in Medford where York Kia was, which is now permanently closed. The location is going to provide more room for inventory and is going to be convenient for customers who live in the suburbs just outside of Boston, as the three other Infiniti dealers inside the Rt 495 corridor are in Danvers, Norwood, and Hanover. When traveling down Rt 1 in Norwood you’re going to notice that the Kia Dealership right next door to Central Alfa Romeo is now owned by the Dan O’Brian franchise. Dan O’Brian who now has three Kia dealerships after acquiring his third location in Norwood, is a franchise with two locations up in North Hampton and Concord, New Hampshire. I couldn’t find any news as to why Central Auto Group sold their Kia dealership, but from what I’ve gathered over the last 6 months, it’s very possible that we start seeing more sales and acquisitions of car dealerships across the Commonwealth from a number of different franchises over the next 5-10 years. This one came as a bit of a shock to me, as last year I filmed a review of a Buick Regal TourX at the dealership. It appears that they closed sometime around November of 2018. So far there’s been no indication of whether a new car dealer will move in or not, but for the time being, the land is being used as an overflow lot for CitySide Subaru in Belmont, which is also a dealer under the Colonial Auto Group ownership. Previous Previous post: Is Toyota The Most Unappreciated Brand Right Now?